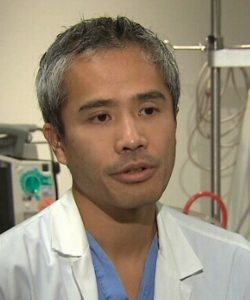 Dr. Derek So is an Associate Professor at the University of Ottawa Heart Institute (UOHI). He is also the program director for the Adult Interventional Cardiology program. Dr. So obtained his medical school training at the University of Toronto and completed residency training in internal training at McMaster University. He further trained in Cardiology and Interventional Cardiology at the UOHI. Dr. So has also completed a Masters in Clinical Epidemiology at the Harvard School of Public Health. Dr. So’s research interests include: acute coronary syndromes, PCI outcomes, pharmacogenomics and personalized anti-platelet therapy. Currently, Dr. So is leading a group of basic science and clinical researchers in the RAPID program, studying future strategies for personalized anti-platelet therapy. As part of the RAPID program, Dr. So presented the RAPID GENE study as a late breaking trial at the Transcatheter Cardiovascular Therapeutics (TCT) 2011 conference. This study has been published in The LANCET. Dr. So has held multiple grants from the Canadian Institute of Health Research (CIHR) and the Heart and Stroke Foundation (HSF) in the field of anti-platelet therapies, including the RAPID AGAP, RAPID MANAGE and RAPID CABG studies. In 2016, Dr. So was granted a mid-career investigator award from the Heart and Stroke Foundation of Canada. As an interventional cardiology researcher at UOHI, Dr. So also leads the CAPITAL research group, which collaborates in various areas of interventional cardiology spanning from fundamental sciences, to pharmacotherapy, novel interventional strategies and device evaluations.